Make a practical addition to your home accessory collection, get yourself this pack of twelve refill strips. The adhesive is strong and ensures a firm fixture. 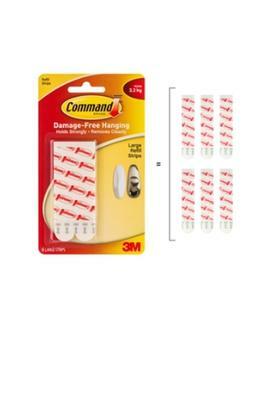 Moreover, these are quite convenient to use and it avoids any unnecessary drill or nail marks on your beautiful walls. These foam refill strips come in a pack of twelve from the brand Command, and offers you a damage free installation of your hooks.